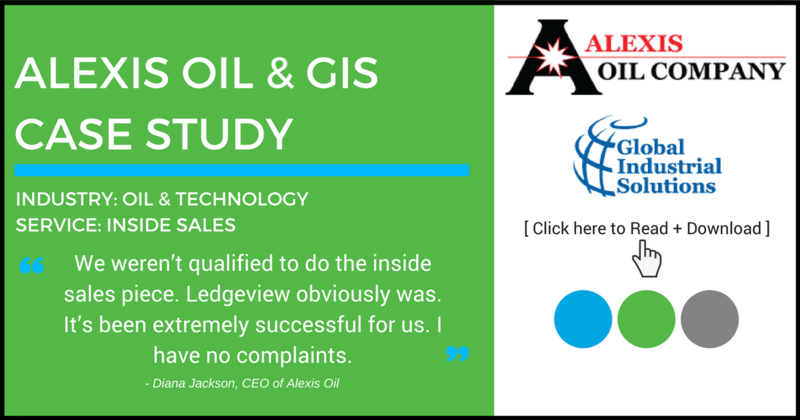 Struggling to achieve success with Salesforce.com, Alexis Oil shifted gears and turned to Ledgeview Partners’ CRM for Oil and Gas solution powered by Microsoft Dynamics CRM and the results have been nothing short of phenomenal. CRM was not new to Alexis Oil. They had been using Salesforce for years, but as part of Chevron’s Project Transform, Alexis Oil was in search of a CRM solution that was more robust and tailored for their industry. They had what ultimately was only a contact manager which wasn’t even tied to the back office system, Petroleum Rx. “It was just unmanageable. We couldn’t really manage our client base at all,” remarks Principal and CFO, Diana Jackson. They found that it was nearly impossible to manage or coach sales reps without being able see daily, relevant activities and pipeline data. To compete in this market, especially with the recent tough economy, Alexis needed to be able to support their sales team and track the progress of sales through the pipeline. Management was also trying to coach with only the sales data on what was already sold. Sales Manager Mark Leara was not able to support and mentor his sales team very effectively without current pipeline data and reporting. Chevron also required regular reporting as part of Project Transform, and the process Alexis would have to go through to get the information from their current system into a format that could be sent was “very labor intensive” and “ridiculous” says Jackson. The lack of a sales pipeline, and the need for immediate access to complete customer data and accurate forecasts were the major driving forces behind Alexis’ search for a new CRM solution. However, they readily admit they were reluctant to make the investment at first. 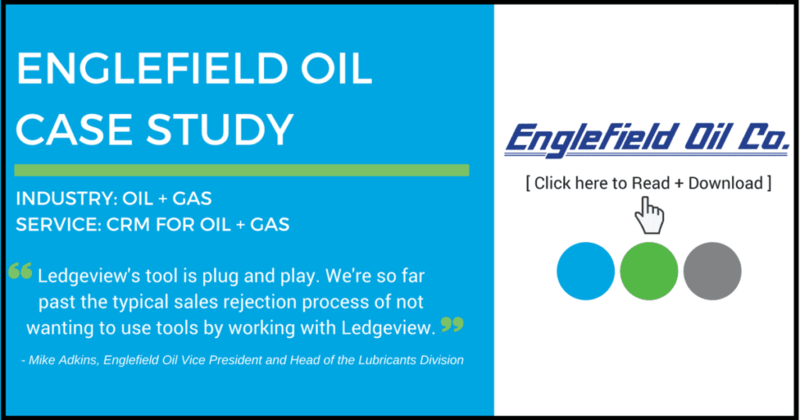 The personal demo in December 2012 with Ledgeview Partners’ CRM Product Consultant Steve Reybrock made it clear that they needed to make a move to Microsoft Dynamics CRM and specifically Ledgeview’s CRM for Gas, Oil & Lubricant Distributors product. With a live launch date set to March 2013, Alexis Oil and Ledgeview Partners got to work. Familiarity with Outlook features and logical functions made employee adoption easier. Alexis found the fact that Ledgeview Partners implemented many of these systems before at companies similar to their own very reassuring. “I’m really impressed by how knowledgeable and helpful everyone is. They all have a great attitude,” says Jackson. If they had to narrow the benefits of the system down to one word it would be “transparency,” according to Carolyne Chu, Marketing Manager and ‘technical guru’ for Alexis. Jackson agrees. “The reports are phenomenal. We love the reports! With all of the advanced filters and finds, we are able to dig in as deep as we want to and get all of the information we need.” This includes the pipeline information that they now feed to Chevron directly from Dynamics. Tracking and reporting the “share of wallet” gains is invaluable information to Chevron and Alexis’ own sales reps. “We can give that info back to the sales reps quickly. It feeds itself. So the excitement grows when they can see the results,” comments Jackson.